This is a free app. It is available for both Apple and Android phones and tablets. 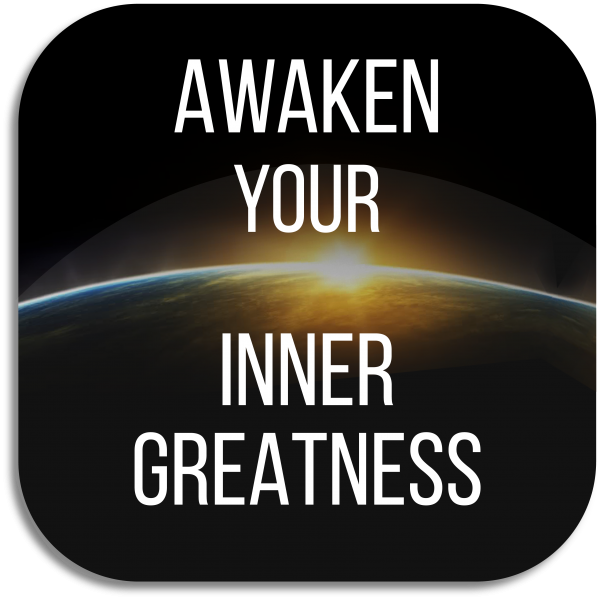 This app is designed to help you Awaken Your Inner Greatness by showing you exactly what the inner barriers are that are in your way and how to remove them completely and permanently. Many of the things that we do are not expressions of our inner greatness but rather are deeply conditioned habits that have their origins in our preverbal conditioning. This conditioning causes you to have a lot of limitations in your life that you don’t realize you have. They are from your very early childhood and you tend to think that they are just part of who you naturally are. But they are not. They are learned behaviors even if you don’t remember how and when you learned them. They are invisible barriers to accessing and expressing your inner greatness. Intuitively you may have a sense that you are not living and expressing your full potential. But you haven’t known how to make that happen. Long standing suppressed emotions are at the basis of your conditioning. That’s what’s blocking you and causing all kinds of limitations, problems, and suffering in your life. You might think that you have your emotions handled because you’ve become very good at suppressing them. But emotional suppression isn’t emotional competence. And the limitations caused by your suppressed emotions can finally be overcome by using this app. The app allows you to guide yourself through a series of audio clips that teach you how to feel the energy fields of unresolved disruptive emotions in new ways that really resolve the true root cause of your conditioning. You just tap a big button on your screen (even with your eyes closed) to hear the next audio instruction. There are basic instructions in the app for how to use it to start resolving your “not-useful emotions.” And there are lots of detailed instructions for how to use the app to remove more and more of your inner barriers to really Awaken Your Inner Greatness on our free membership web site at innergreatnessglobal.com. You’ll be amazed at how using this app enriches your life by freeing you up to start fully accessing and expressing your inner greatness!